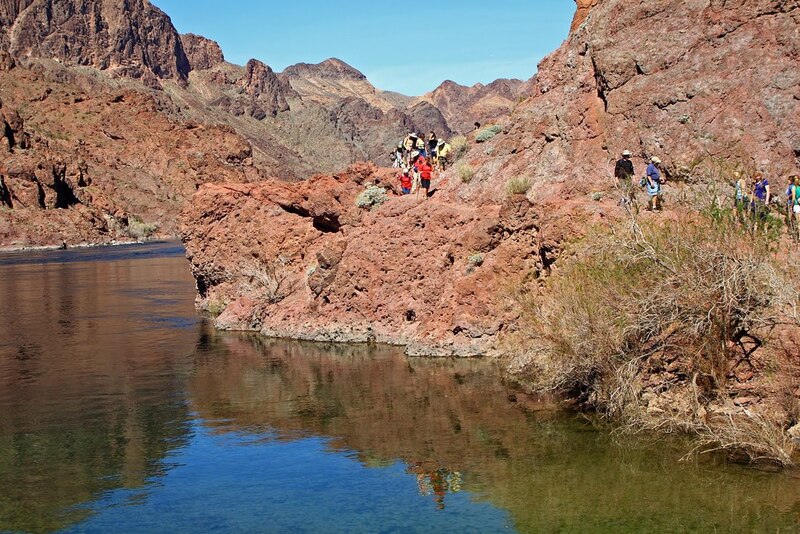 The area surrounding Las Vegas is an outdoor adventurers dreamland! The landscape changes in each direction, and around every turn. From the brightest red hills you will ever see, to massive blue lakes, and pine forests, all on quiet roads with good pavement, bike paths in the middle of the dessert, and a pool and mansion to call home every night. This trip finds the balance between exciting rides and relaxing afternoons. Details: Your Cycling Centre support crew will meet you at the Las Vegas airport with a welcoming smile and transport you to our Vacation Kingdom, a Vegas Mansion. 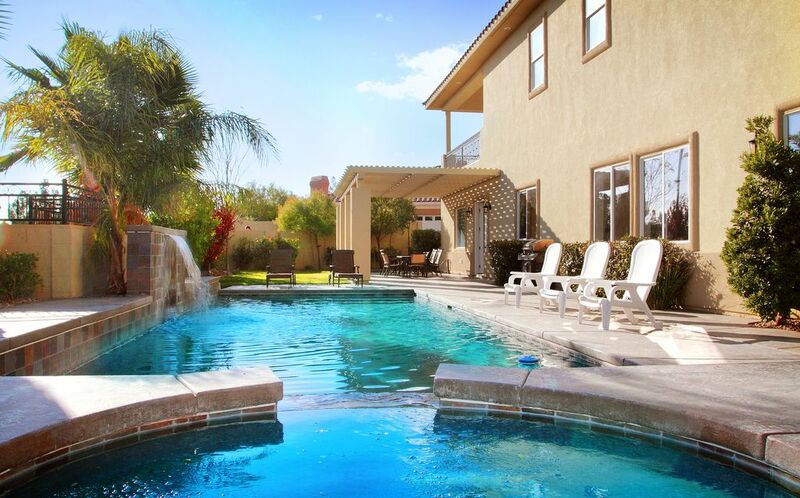 Enjoy a beverage and snacks by the pool, unpack, and relax as we put your bikes together for you. We will go for an easy spin to make sure the bikes are all working perfectly. Dinner tonight will be at our house, offering a great opportunity to get to know your riding mates for the week. Remember to hydrate and eat lots, we'll be burning lots of calories this week! 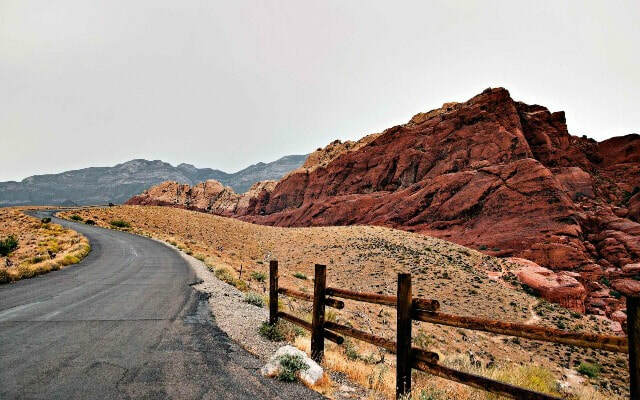 Ride Description: ​One of the most iconic places, outside of the Vegas strip, is Red Rock Canyon. 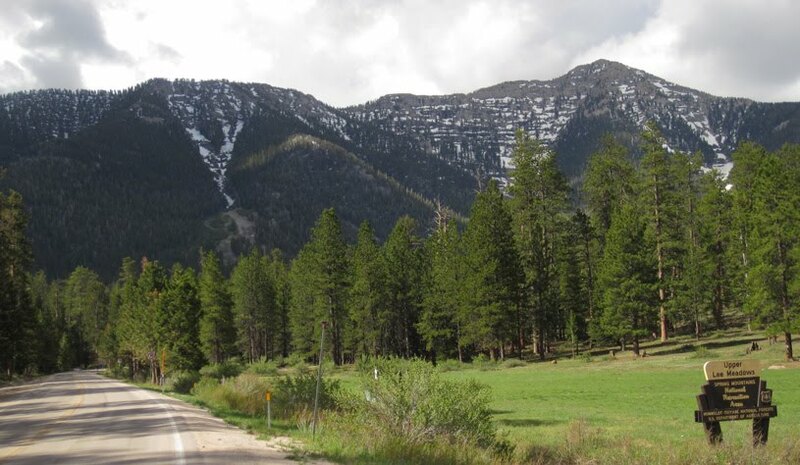 Famous for its Red Rock, twisty one-way roads, and smooth pavement, it is a cyclists dream. On both routes you will enjoy the spectacular scenery, then the short route will venture home while the long route will continue on for an out-and-back section. ​Other Details: Enjoy a quiet afternoon by the pool, immersed in a book or in conversation with riding mates. Nat and Petrina have became known for their Margarita happy hours to help you ease in to the early evening before we shuttle to a restaurant for dinner. 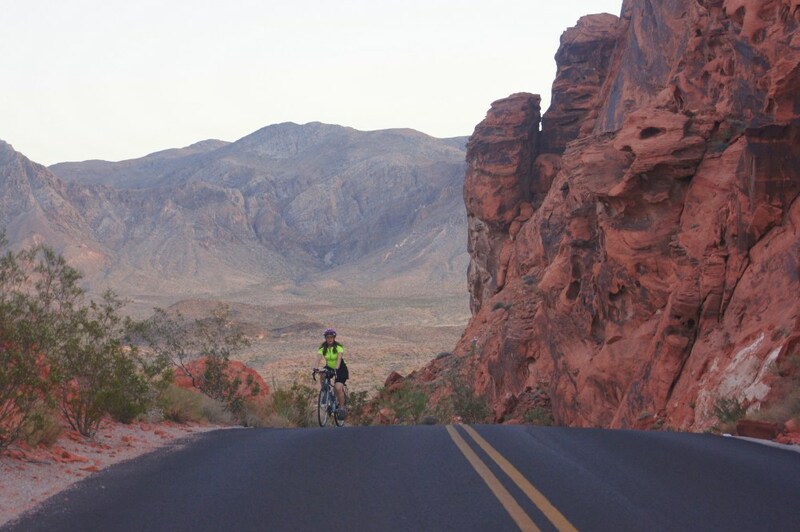 Ride Description: ​This ride will surprise with several moments of awe, including the Lake Mead bike path, Lake Mead itself, and the Hoover Dam! The long route is riding from the door of our house, the shorter routes involve being shuttled ahead, but all riders will experience the most beautiful highlights. 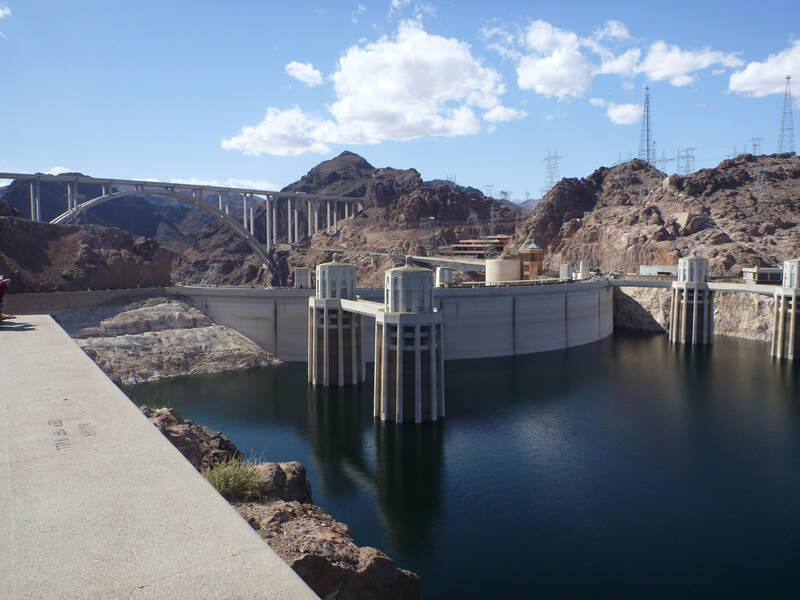 Tours of Hoover Dam are $15 and run until 3:45 pm for those looking to get an inside look at this engineering feat. Shorter route options entail hopping in the support van when have decided to end your ride. ​Other Details: ​Enjoy a relaxing massage post ride before we enjoy a home cooked meal, conversation with friends, and a signature cocktail while recapping the day. Details: Today is a day full of options to enjoy Las Vegas off the bike. Some suggestions are to explore the strip, old town, Fremont Street, do some shopping, maybe a Segway tour, or be entertained by one of the many shows. There are no shortages of things to be amazed at in this city of lights. Dinner is on your own tonight and there are lots and lots of options in this city full of famous chefs. Hike Description: ​​An optional morning hike is planned with a soak in the Arizona Hot Springs. This hike is strenuous with 6 to 10 km of hiking as well as a 20 foot ladder to go down in to the hot springs. Be sure to pack a backpack, water, and swim suite for this hike as we will soak our tired muscles in the healing hot waters. Ride Description: The area surrounding Las Vegas is diverse; who knew there was a ski hill? We will ride up in to the mountains today, so bring a winter jacket and warm winter mitts. The last time coach Petrina did this ride it was 45 degrees celsius at the bottom and 2 at the top. The best part of this ride are the scents as you ride from the dessert landscape in to a pine tree forest. The long route is a loop from our house, the short route has a shuttle to the start point. Other Details: Our second massage will be later this afternoon and we will venture out to a restaurant for dinner. Ride Description: ​Our last ride of the week may be one of the most beautiful. The quiet road, good pavement, flowing ups and downs, and different vistas around every corner make this a pretty great place to ride. All riders will be shuttled to the start location. Other Details: Once back at the house, staff will pack up your bike before our final dinner at the Vacation Kingdom. Expect big laughs and cheers as we recount our adventures from the week. Today is departure day ... or is it! There are lots of other highlights in the surrounding states for those looking to continue their adventure. A road trip west through Joshua Tree National Park, or head north to Zion National Park or Bryce Canyon National Park. However, it is most recommended that you take a trip to the Grand Canyon. There are lots of viewing points including the South Rim and the North Rim; but one of Petrina's best holidays was a hike down in to Havasupai Falls and 3 days exploring the unique habitat and water falls. You can find out more through the AOA website. Coaching by Nat and Petrina. Airport transfers on arrival and departure days. Bike assembly and packing in Vegas. Support Van full of snack foods and drinks. 6 nights accommodations and breakfasts. Airfare. We will pick you up at the Vegas airport on the first day of the trip and drop you off at the Vegas airport on the last day. All lunches, though the support van has food.